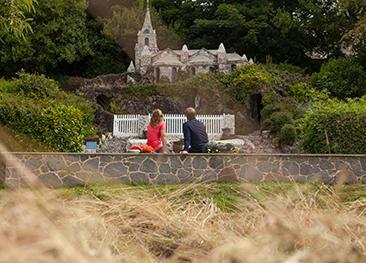 With fun, friendly & informative live guided commentary, Tour Guernsey is far more exciting than just an ordinary sightseeing bus restricted to the big roads. With the mix of small lanes, tracks & fields this fully accredited REAL Guernsey Tour combines a comprehensive outing to landmark highlights with a peaceful drive around the island's coastline. 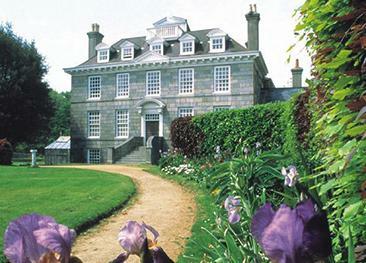 Tour Guernsey offers a variety of tours, the most popular being the 3 hour REAL Guernsey tour, perfect for those wanting to experience the real Guernsey. The tour starts from St. Peter Port heading by some of Guernsey's most iconic cottages and farmhouses nestled along the South Coast cliffs. The tour take you all the way down to the beautiful Petit Bot before stopping at the private hanger and departing on the 20 minute scenic flight. These tours are available on Thursday 14th June, Thursday 16th July and Saturday 18th August. 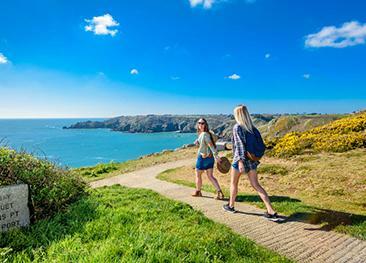 Walking opportunities in Guernsey are endless, taking you from cliff paths to heritage sites.